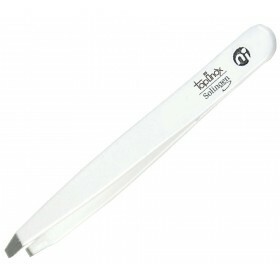 Add final touches to your manicure and pedicure with an excellent German nail file by Niegeloh, featuring authentic Solingen making and durable filing performance. 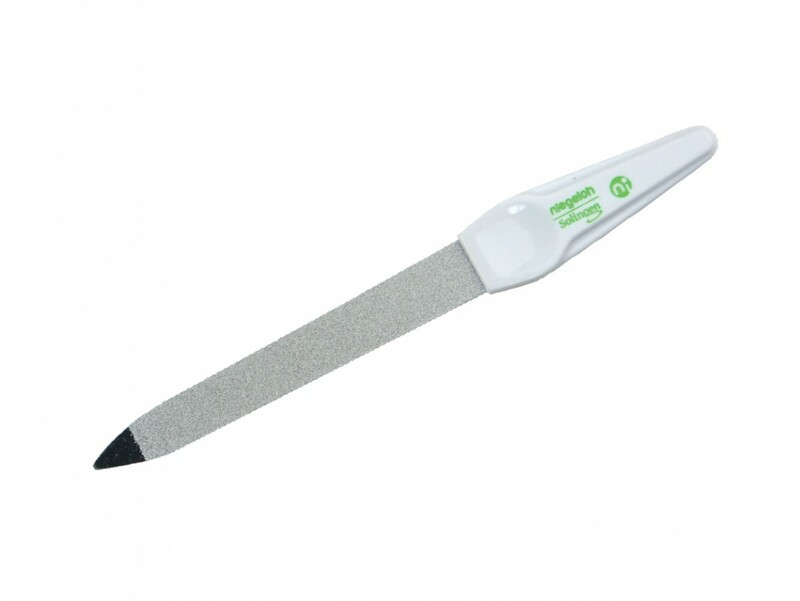 Made of rostfrei stainless steel with an even sapphire coating, it is dual sided and great for removing length and shaping nails. Smooth edges don't hurt the skin and the tower point tip helps clean under the nail. Traditional size is perfect for your manicure kit or a handbag for grooming on the go. This model is considered the most traditional among Niegeloh sapphire nail files for DYI manicure and it is perfect as a bathroom or a travel accessory. Length: 12.5 cm. Made in Solingen Germany.